Translate this page into another language using Google Translator. Our Great Need is Revival ! A Charge To All Bible Believing Americans! As I look out across the landscape of America and take her spiritual temperature, it breaks my heart. America appears to be morally bankrupt and spiritually on life support. Our fabric is frayed; our seams are torn. As a nation; as a society we have gone far from Almighty God. We have turned our backs and shut the door in the face of God. God's Word is openly mocked and continually trampled under the feet of the so called great thinkers and mover and shakers in the days that we live in. This nation is writing it's own obituary with each decision that is made by the leaders and the people of this nation to promote and present that which is an abomination to Almighty God. Scripture is clear where God stands on the sin of fornication, adultery and homosexuality. We have set our eyes and our attention upon our selves and off of God. As a nation we live for that which is right in our own eyes. Our sins are many and continue to grow and grow by the moment. We have lost our ability to blush. It's been said, "The sin that once slinked down a back alley now struts down main street." The decay of "One nation under God" has been in motion for many years. We are ripe for judgment. I have a desire to see people saved and their lives changed. I have a want and a desire to see the saints live their lives for the glory of God. It is each individual that makes up the sum total of the fabric of this nation. Before the foundation can be repaired a cleaning must take place. I'm speaking of the born again in this country. It is time for each individual Christian to repent. It is time for each believer to wake up, get up and get serious. I find myself heartbroken and astonished at the lackadaisical approach most so called Christians take when it comes to the Word of God. Revival will never take place or take shape until the believers get right with God. We cannot say amen on Sunday and live like the world Monday thru Saturday. We must be a clean vessel that Almighty God can work through. God will not bless what He does not approve. God will not answer our prayers for revival if we are living like the Devil. The Bible says,"If I regard iniquity in my heart the Lord will not hear me" (Psalm 66:18). If we are wondering why there seems to be a ceiling that is stopping our prayers we need only to look at God's Word and learn why that is, "Behold the Lords hand is not shortened, that it cannot save; neither his ear heavy, that it cannot hear: But your iniquities have separated between you and your God, and your sins have hid his face from you, that he will not hear" (Isaiah 59:1-2). We must come down before we can be lifted up! We must come clean before we can be made clean. Our sins must be dealt with (I John 1:9) then our prayers will be heard and then we will be a useful tool in the hands of the Lord. For there to be a change in our nation it must begin with the redeemed in Christ Jesus. Revival must start in the church house. Revival must start in the heart and thus in the lives of the born again. This is "A Charge to all Bible Believing Americans." Pray in the morning, pray in the evening, pray throughout the night; pray in the middle of the day! Ask God to have mercy on us. Confess the sins of this nation. Be brutally honest and transparent before God with the sins of our nation. The Bible says, "The effectual fervent prayer of a righteous man availeth much" (James 5:16b). Will you take serious the plight of our dear nation? 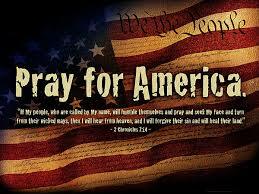 Will you join me in persistent prayer for the soul of America? Will you partner with others and call on the Lord in fervency and brokenness? what is needed? Spiritually the circumstances are dire for America. It takes the constant rushing and moving of water over the rocks and stones in a creek or stream to change their shape and size. My heart aches for the soul of this once mighty nation and its godly heritage. 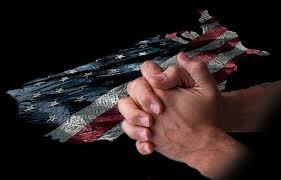 A nation that once was, 'One nation under God.' 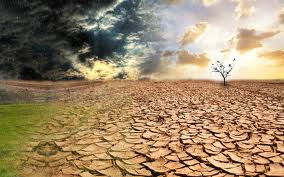 America is spiritually a dry and thirsty land. The plan is to continue with the home page having the same message and charge; in the hope that it will act as rushing water flowing over the hearts and minds of those who read the Word of God and the message that God has placed upon my heart for the soul of this nation that is found on this page. I desire that many will know the convicting power of the Holy Spirit and thus will be moved to obey God and His Word and pray. Will you come boldly to the throne of grace? Will you come today to the throne of grace; on the behalf of this nation? Will you call out to the God of Heaven? Will you cry out to the Living God who is rich in mercy? Will you wear a path out spiritually speaking to God that is paved with tears and repentance? I pray that you will. Our time calls for People of Prayer. The fuel and substance of revival is the reading and preaching of the Word of God. It will convict and confront the backslidden Christian. Repentance will follow and the power of God will set a revival ablaze in their heart. A renewing will take place and the child of God will be a burning lamp that will carry the love of Christ and the Gospel of Christ to a lost world.